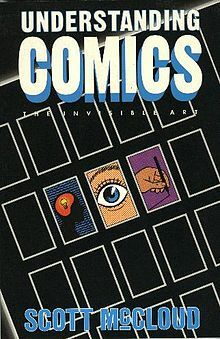 Scott McCloud states in his book “Understanding Comics: The Invisible Art” that comics elevate our way of thinking. It narrates our way of thinking by combining skills that puts a picture into the reader’s mind. In design, we are also involved with visual thinking. Techniques and mechanics set the fundamentals for visual communication. The process of thinking is a visual way is what is involved in the process of design. The designer must create a sense of visual literacy in the final product of the design .The designer must understand that what you communicate to the viewer can never come out precisely as the designer intends. Therefore, it is important to represent a visual creation that is a direct and clear reference to the viewer’s understanding. Design is a process, a way of thinking. For designers, there is a social responsibility for creating something that is recognizable. The mental concept and the material aspect of the design can relate to each other. By using appropriate techniques and basing a final product on something that works will make it more successful in the long run. Design is something we do. However, the objects we create from it elevates a visual understanding of what the creator wants to communicate to the viewer. © 2017 Claire Susick | Designed by Grue and Bleen.